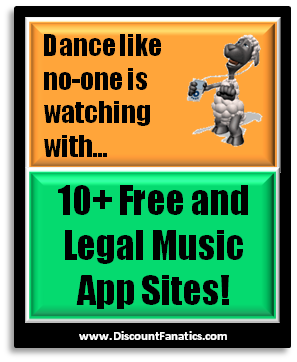 10 Free Music App Sites + 13 Free Online Radio Sites! I've compiled a list of the top 10 Free Music Apps available along with direct links to their sites! Most of the free apps are ad supported, but they also offer "paid" apps that are ad-free. Since you're looking for free apps, I don't think you'll mind listening to a commercial every now and again! Click on them to see which ones work on your device, since the offerings vary between an Android, iPhone, iPod touch, iPad, Kindle & Kindle Fire, nook, Windows Phones 7 & 8, Windows 8, BlackBerry and Nokia. If any of these services stop offering the "free" option, please drop a line using the contact form so that I can remove them from the list. Thanks. 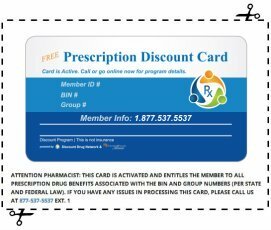 Also, don't forget to check out the Discount Fanatics Media Savings Center at the bottom of this page for more free and money saving options available to you!